Change has to start somewhere, and it’s usually in the streets with everyday people deciding to stand up for what they believe in. 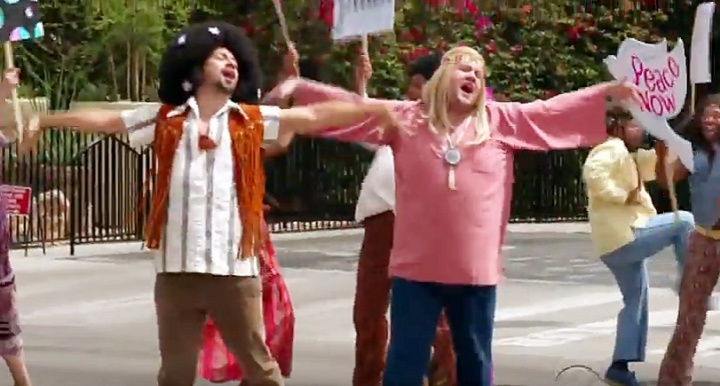 As you’re about to see, celebrities like to get in on the action as well, and thanks to goofy theater lover, James Corden, we’re in on the joy of Lin-Manuel Miranda participating in an actual street production of Hair (The American Tribal Love-Rock Musical). This is what we need, people. Let’s hit the streets. I’m just going to watch that on a loop all day. Previous story The Defenders: Does David Tennant’s Kilgrave Live?